Today, I’m continuing on with my West Coast travel log! I’m reviewing my favorite hotel of this whole trip! 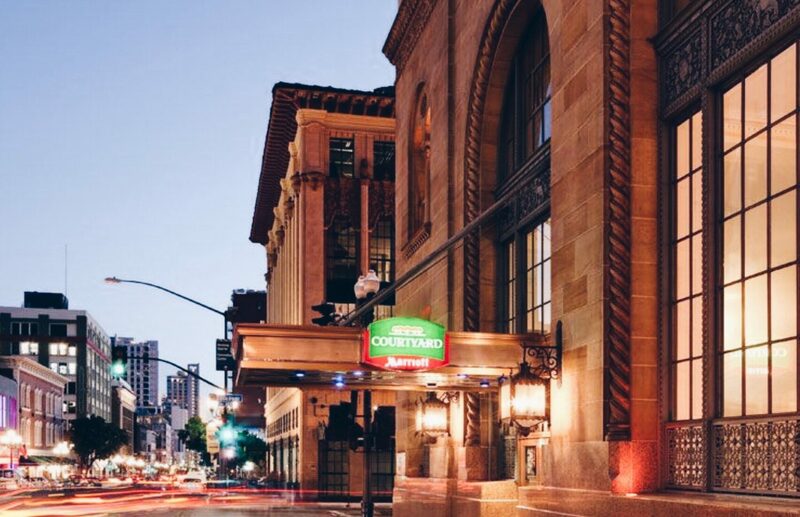 It is the Courtyard San Diego Downtown, nestled in the heart of Gaslamp Quarter. When you think about visiting historic sites in San Diego, surely you’ll think of Balboa Park or the likes. However, this hotel is actually a historic site itself in the Gaslamp District! To begin, here’s a little glimpse of my beautiful room! The view is absolutely stunning isn’t it?! Do I have your attention yet? This hotel’s exterior, may not look like much at first glance. My friend met up with me here, and thought nothing of it until he entered. 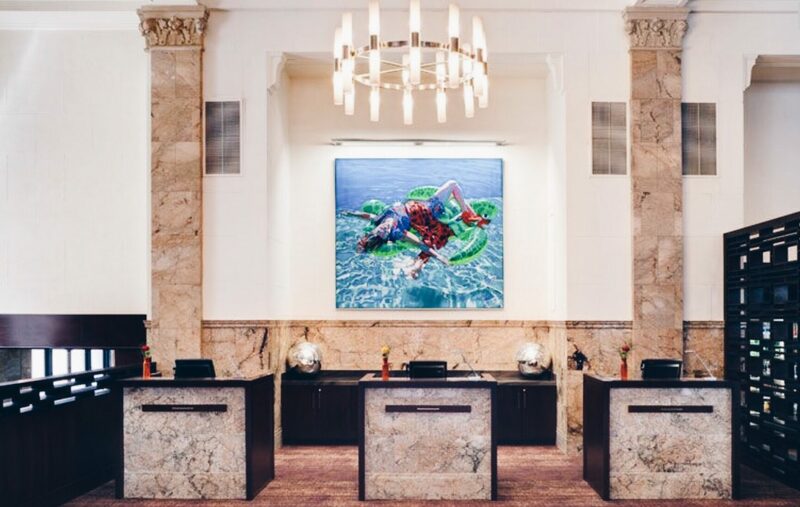 The outside of this hotel may be deceiving because it retained the look of it’s former financial institution – the San Diego Trust & Savings Bank. It was built in 1928 and stands at 240 feet above street level. The building was built by San Diegan architect, William Templeton Johnson, who also built the County Administration Building, La Jolla Library, Fine Arts Gallery and the Museum of Natural History in Balboa Park. The interior is truly a hidden gem. In 2013, the hotel had a six million dollars renovation for rooms, space, and facility. The thirty five columns around the lobby are made from marble from three different continents. During the renovation from bank to hotel, the marble was numbered, removed, cleaned, stored, put back into place accordingly. The hotel is truly a remarkable piece of artwork as a whole. Upon arrival, the waiting area is already something to write home about. 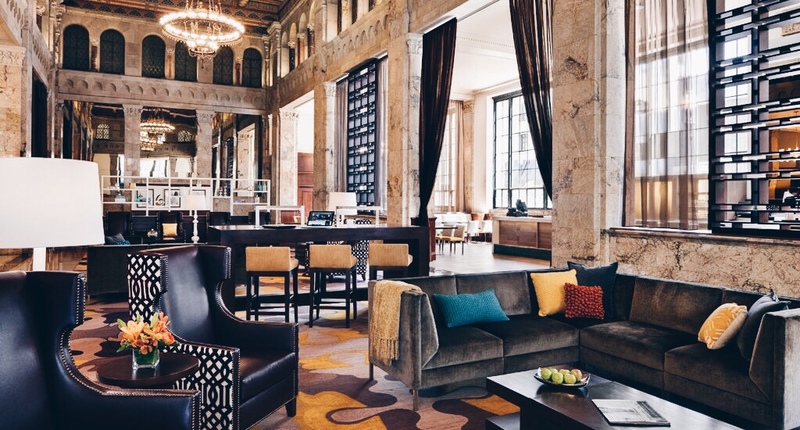 It truly is the perfect blend of Italian Romanesque Revival Architecture with modern decor. Everything from the minor details of sofas, chairs, curtains to the classic chandeliers are just elements that build into this perfection. The beautiful warm toned marble of the lobby, is just as inviting. 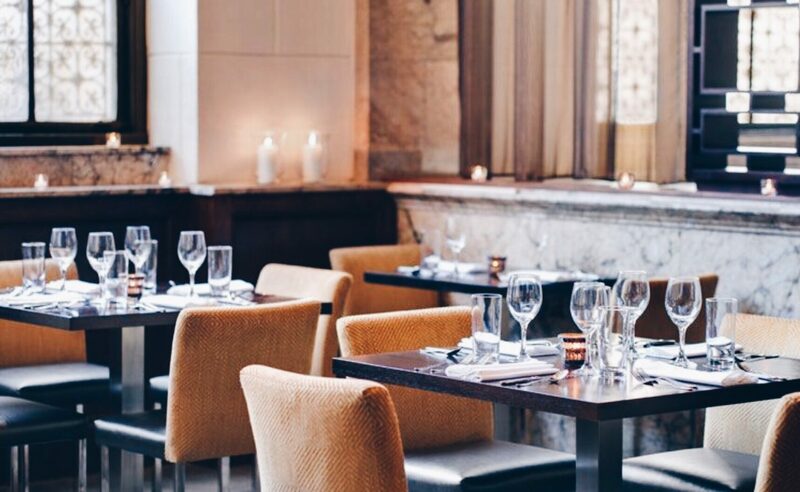 And when you’re hungry, their classy in house restaurant may be just the thing you need. That. Or just call for room service. Either way works, your call. 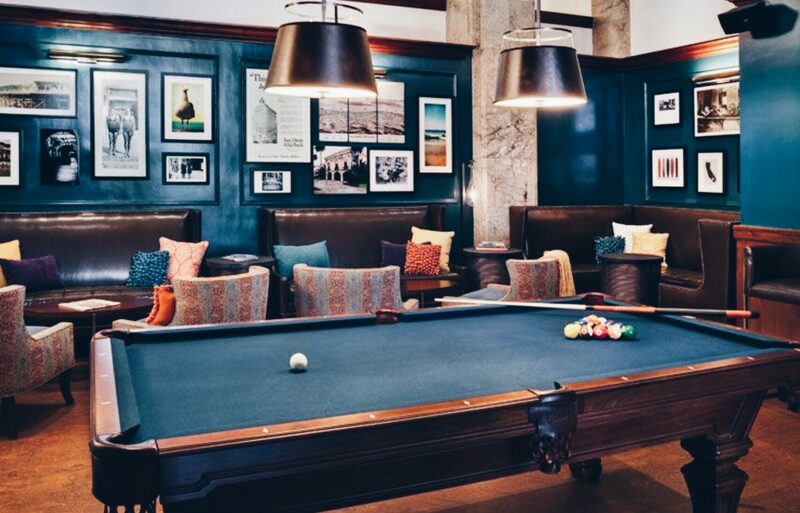 Their billiards area is another place where you could just relax and chill. I love how classic everything in this hotel is. It almost feels like I took a time machine and traveled a little back in time. For accommodations, I opt. for the King Water View Room. There’s no real water view, because everything surrounding the Gaslamp area has since been reconstructed. However, the city view is just as captivating. I loved the beautiful arches in this room. The architecture was what moved my heart to pay for a room in this category. The beautiful eagle sculptures sitting outside majestically adds to the Italian Romanesque vibes. Just remember, not all rooms in this category will feature this beautiful arch. They only have either four or five of these rooms in this category and they’re on the top floor. So make sure, if that’s what you want, to make special request of it. I checked into another room in the same category and had to later request for a change of room in order to get this view. And yes, I was lucky enough to have gotten the very last room available! Before you leave this beautiful hotel, make sure you walk around and take advantage of the beautiful interior design. 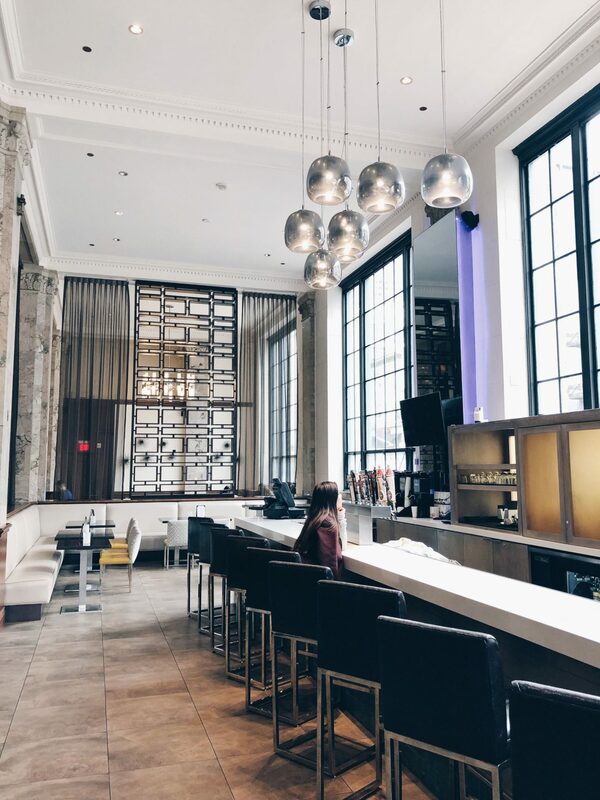 Sit at the lobby bar and just take a moment to enjoy. I know, I did and I can’t help but leave a piece of my heart at this hotel. Location: Convenient. 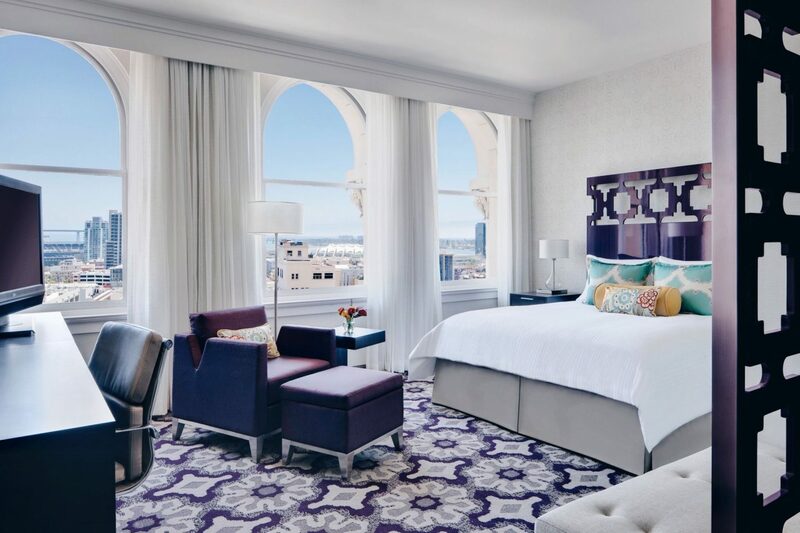 Situated in the heart of Gaslamp District. Close to most tourist areas and restaurants. Minutes from Balboa Park, San Diego Zoo and the likes. Comfort: Clean and comfortable beds. Probably, the best bed I’ve slept in, out of the four hotels I’ve visited in the West Coast. Staff friendliness: Very accommodating and helpful. When I wanted the room with the arches, they tried their best to find me an available room and they were able to do so! Price: Fair and comparable to surrounding hotels. Price depends on days of visit and on season/off season. Parking: Parking here is expensive at $39 per night. There is overnight parking about a block away for $10 per night. Ask a staff and they will kindly tell you where alternative parking can be found. FOR MORE INFO & TO BOOK HOTEL. CLICK HERE! That’s all for now folks, I’m almost done wrapping up the West Coast trip, so just bear with me! More fashion and beauty posts will be following shortly! And not to mention – my one year relaunch anniversary is coming up! So excited! I can’t wait to share with you all! Let me know if you have stayed at other hotels in San Diego and can share with me some good spots! Maybe I can visit it next! My goal is to find the most beautiful and insta-worthy hotels to share with you all! Can’t wait to hear from you all! This post is non-sponsored and contains no affiliate links. Example photo rights belong to Courtyard Marriott San Diego Downtown Press/Media. Photos of Ophelia are property of Sincerely Ophelia. This hotel is beautiful, it looks like a palace I wish I lived in. Will have to check it out! My husband and I love to travel and we have never been to San Diego. I will keep this in mind beautiful! This place looks beautiful! I love anywhere that has some kind of historical background, especially a hotel. Historic hotels are so cool because you just think about how many people have been there and what the hotel has been through. It’s really cool. This looks like the kind of place I’d never want to leave. The room looks so cozy and every where in the hotel does really. I’ve yet to visit SD but if that changes, I now know where I want to stay. I am so impressed by this hotel. It looks incredible! I would so stay here if I’m ever in San Diego. Oh wow now this sounds like an amazing place to go and stay. I absolutely adore hotels with a difference, somewhere with a history behind it. Oh my, you are so right, the inside does not match the outside! What a lovely room! I love the colors and the decor. The bar also looks like a fun place to hang!! What a gorgeous hotel. I love how amazing it looks. The room looks cozy and perfect for a weekend gateway. Beautiful hotel and pictures! I love the location in the heart of San Diego. Beautiful pictures and description. I will have this mind for a travel destination. Thanks for sharing. Wow that hotel looks like royalty indeed. San Diego a place to check out next time we are in America. Okay so I am once again reminded that I have points expiring from my Marriott Rewards. I so love the view from your hotel. The Marriott I frequent here has the view of the golf course. I wish we have one here downtown. I love how inviting the hotel looks and the colors they used to decorate the place. It sounds like an interesting place to stay. This looks like such a spectacular place to stay. I am loving all the decor. Haven[‘t been to San Diego in over a decade. This looks like a great place to stay. Loving the aethetic of the hotel and that view is just stunning. Waking up to that view must be something else! This hotel is gorgeous! I love the Romanesque style. Thanks for your tour! Downtown San Diego is always a fun place to visit, this hotel looks so pretty, I love the decor. I will be adding this to my list of places to stay next time I visit! What a beautiful hotel! Love the picture where you can see the view! Great review! The pictures are fantastic, and this is very thorough. I’m wanting to visit that hotel now. I’ll have to stash away some travel money, haha. Awwww…so beautiful! The interior is the lap of luxury! Love all the details from the marble to the pool room to the awe-inspiring tall ceilings in the great room. Thanks for the review! Will definitely keep this hotel in mind next time I’m in San Diego! San Diego may be the best place in the state to vacation. The weather’s always perfect and there’s so much to see and do. Knowing that there are also fabulous accommodations when visiting really seals the deal. That is an amazing hotel, its great to stay somewhere relaxing and luxurious on vacation. I would love to see San Diego some day. Wow, what a beautiful hotel! I’ve stayed in Courtyard hotels before, but this one is the most luxurious one I’ve ever seen! Will definitely look for that one on our next trip to San Diego! The hotel looks stunning! The decor and architecture are otherworldly! I’d love to come visit, I’ve actually never been to San Diego. Thanks for sharing. What a gorgeous hotel! I love how they were able to merge contemporary designs with rustic accents, really feels homey and calming, yet spacious and modern. This hotel is beautiful! I visit San Diego a lot and will definitely look for this hotel. Awesome! Hmm…we’re thinking of visiting San Diego before we move out of the country and I think, this hotel must be a great place to stay in. This hotel look so beautiful. Love the way you explained every detail right from the entrance up to parking; without keeping anything uncovered. Looks like a great boutique hotel experience. I’ll keep it in mind, next time I’m in SD! Great hotel. The architecture of the hotel looks stunning and beautiful beyond words! I’m glad that it was affordable and that there is a cheaper parking alternative near the hotel. This looks so beautiful! A great place to stay in San Diego!